Pravda o Kronshtadte (in the future Pravda), the original text of The Truth about Kronstadt (Truth), is the work of many hands. It is also a key primary source for any discussion of the Kronstadt Rebellion of 1921. Because of these two facts, and in the interest of gaining a better understanding of the text, it is helpful to discuss several questions arising from the translation. Who were the original authors and publishers of the different sections and sub-sections of the work, and what were their political views? How did these views, changing conditions in Russia and internationally, and the interests of the authors combine to shape their relations toward one another, and toward other groups involved in the great upheavals of the Russian Revolutionary and Civil War era from 1917 to 1921? The authors of Pravda all belong to various branches of the socialist movement which developed out of the Russian Populism of the late 19th Century. For the purposes of this essay, the authors will be described and differentiated politically by two specific aspects of their beliefs: their views of Socialism, and of the proper role of non-socialist forces in the revolution. These aspects do not definitively describe the beliefs of the groups in question. They are, however, issues which were important to the political context of the time, and which help to explain the major conflicts and divisions between contemporary Russian socialists. Different socialist groups held widely different views of how Socialism could and should be achieved, and what would characterize the resulting socialist state. Further, some endorsed intervention by outside forces and the work of Russian conservative groups, while others vehemently opposed such actions. These differences contributed heavily to many of the political alliances and enmities of the period, and specifically to those of the authors of Pravda. International and internal conditions changed greatly during this period. Also, once one common interest or goal had been addressed, it was often the case that erstwhile allies found themselves with new, divergent interests. Amidst the stresses of such changing conditions and alliances, the authors' views on the two questions placed above, the nature of Socialism, and the proper role of non-socialist forces in the revolution changed also. The authors' relations to one another, and to other groups will be discussed within the framework of this net of changing conditions, interests and beliefs. Who then were the authors of Pravda, and what were their political views? The first group of authors to be discussed will be the common rebels, who make a strong appearance in the pages of Izvestiia through their declarations and appeals. Second, there are the newspaper's editors, represented by Anatolii Lamanov, who wrote such important articles as "What We Are Fighting For" and "Stages of Revolution" (Getzler, p. 232, endnote 112). The rebels' military and civilian leaders, represented by Stepan Petrichenko, President of the Provisional Revolutionary Committee, also played a major role through their announcements, and their later interviews with Volia Rossii. Despite some question of Petrichenko's political affiliations, these first three groups hold fundamentally similar views, and can often be considered as a single body. Finally, there is the preface by Volia Rossii itself, which was a newspaper published in Prague by Right Socialist Revolutionaries, including A. F. Kerensky. "bring into the navy...a hostile attitude to all authority absorbed from the age of 12-15 since when they have moved amidst propagandized workers" (p. 10). He notes that these sailors were also broadly educated in naval schools for their technical positions (pp. 1, 10-11). Kronstadt already had a long and fiery history of both spontaneous and politically directed rebellion prior to the upheavals of 1917. There was underground activity among the crews in Kronstadt throughout the first two decades of the 20th Century. Spontaneous riots flared up in 1905, and another rebellion, led by a coalition of parties, took place in 1906. The Kronstadt sailors played a leading role in the Revolutionary events of 1917, culminating on October 25th when they participated in storming the Winter Palace, overturning the Provisional Government led by Kerensky and effectively placing the Bolsheviks in power. Despite the tens of thousands of Baltic Fleet sailors who went to fight at the fronts of the Civil War, Getzler reports that the composition of the Kronstadt garrison had not meaningfully changed by 1921. Of a populace of 50,000, there were 27,000 sailors and soldiers and 13,000 civilian laborers. Working with both western and Soviet sources, including data by A. S. Pukhov, he states that 75.5% of those serving in the fleet on January 1st, 1921 had been drafted before 1918 (Getzler, pp. 205, 208, footnote 11). It should be noted that Pukhov himself, in his complete work, draws very different conclusions, stating without exact figures that "[o]ver the 2-3 years before the mutiny, and especially in 1920, processes occured in the fleet which meaningfully changed the character of the personel structure in the direction of a sharp lowering of the qualitative indicator, from both the class and political perspectives" (Pukhov, p. 39). Through and above all, these educated, independent and politically aware Kronstadt sailors and workers wanted, and acted as, a radical and spontaneous socialist democracy. The classic forms of Kronstadt organization were the mass meeting and the committee, or Soviet, of deputies subject to immediate recall. There was free participation for all socialist classes and parties. The Kronstadters rejected any and all authority beyond their own Soviet, and it was not uncommon for participants in a mass meeting, inflamed by orators, to force the Soviet itself to sudden and embarrassing policy changes.The sailors and workers had an active and violent hatred for the bourgeois, noble and officer classes, and rejected any role for them in the political and economic life of Kronstadt, its Soviet, and the Republic at large. They believed in, and in fact saw in Kronstadt through much of 1917, the immediate achievement of almost purely laborer led institutions and government. They thought that such institutions could be immediately established throughout all of Russia by the action of the laboring classes, without help from non-socialist groups. Anatolii Lamanov appeared on the scene with the February Revolution of 1917. A third-year technology student, he became Chairman of the Kronstadt Soviet of Workers' Deputies. Later he was to serve as the Chairman of the Kronstadt Soviet of Workers' and Soldiers' Deputies ("Kronstadt Soviet") and on the editorial board of its newspaper. He was also head of Kronstadt's Non-Party Group, which in August of 1917 joined the Union of Socialist-Revolutionaries Maximalists and adopted that group's name. (Getzler, pp. 30, 37-38, 135). "... it rejected party factionalism, stood for pure sovietism and thus fitted admirably into Kronstadt's early revolutionary and markedly soviet landscape ..." (p. 37). "... his was a call for restraint, for close ties with the Petrograd Soviet, for 'the unity of the revolutionary all-national movement,' and a voice that spoke always against that 'disunity and party discord' which had 'ruined the revolution of France,'" (p.55-56). As Socialist-Revolutionaries Maximalists, Lamanov, his group and the Kronstadters who supported them were part of a movement which took its name from the "maximum" program of the Socialist Revolutionary Party. This program called for the immediate socialization of the factories at the same time as the land. In many ways the Maximalists agreed with the Bolsheviks, and in October of 1918 they supported the overthrow of the Provisional Government. However, as V. V. Garmiz, a Soviet writer, points out, they differed with the Bolsheviks in that they "did not recognize the dictatorship of the proletariat, and denied the necessity of centralized administration of the country's economy; [they] spoke against the Treaty of Brest[-Litovsk] with Germany," considering it a concession to international Imperialism. Also, as their basic program suggests, the Maximalists did not consider an intermediate period of bourgeois capitalist government to be necessary for the achievement of Socialism (see Nicoll, 1980a; Garmiz et. al., p. 255). Thus, Lamanov and the Maximalists, like the Kronstadt sailors and workers, viewed Socialism as the immediate transformation of the country to a Soviet republic of laborer ownership and leadership, sweeping aside the land and factory owners without any period of transition or compensation. While they may have envisioned an "initiative minority" (Garmiz et. al.) as the spark for a revolution to be carried out by the power of labor, they opposed any action by non-socialist groups and western governments. The case of the other Kronstadt leaders is somewhat less clear. Petrichenko, it is known for certain, was a senior clerk, originally from a Ukrainian peasant family. Before joining the navy in 1912, he was a plumber, and had only two years of formal schooling. He was chairman of the Petropavlovsk meeting where the resolution which served as the uprising's foundation was originally passed, and was later President of the Presidium at the Conference of Delegates which formed the Provisional Revolutionary Committee. These facts give him every appearance of being an honest Soviet worker rising to lead a liberation movement, and in full agreement with the views of Lamanov and the Kronstadt sailors (Avrich, pp. 72-74, 80-82). However, in one early, authoritative Soviet account of the rebellion, Petrichenko is accused of being a Ukrainian nationalist, and a sympathizer with the SRs and Anarchists (Pukhov, p. 76-77). If this were true, it could be proposed that contrary to his and other Kronstadters stated non-party beliefs, Petrichenko went beyond philosophical agreement with the SRs to actually having secret contacts with partisan forces, and that he intended to use the rebellion as a stepping stone for the introduction of SR power and government in Russia. Further, even simple agreement with the Right Socialist Revolutionaries' philosphy as it existed through 1918 would be a damning accusation in many workers' eyes, for reasons which will be discussed below. Further, even simple agreement with the Right Socialist Revolutionaries' philosophy as it existed through 1918 would be a damning accusation in many workers' eyes. The same accusation of partisan leanings was made against Anatolii Lamanov, as a member of a political organization (Pukhov, p. 77). In this case however, Lamanov's political affiliation with the Maximalists is in no way secret, being announced clearly in his letter of departure from the R.K.P.(b. ), in the third issue of Izvestiia of the Prov. Rev. Com. (Pravda, pp. 59-60). In any case, a possible secondary connection to the SRs does not mean that Petrichenko's statements must not first be considered and analyzed through the lens of his indisputable role as a Kronstadt sailor and leader, elected to office from and living within the democratic Kronstadt milieu outlined above. Because of this, the Kronstadt workers and sailors, Lamanov and his Non-Party Group/Maximalists, and Petrichenko can all be primarily considered as a political and philosophical unit in most cases. However, Petrichenko and the Provisional Revolutionary Committee must also then be discussed separately, to analyze their possible role as supporters of one or another of the non-maximalist branches of the Socialist Revolutionary Party. Volia Rossii, publisher of Pravda, is itself the publication of the SR Party's right branch. Unlike every other book published by the newspaper and then sold through its advertisements, Pravda is unsigned. The author, or authors are never indicated, either in the book itself or in the pages of Volia Rossii. It may thus be viewed, like the unsigned front page editorials, as stating or representing the beliefs of the newspaper's leading figures. Volia Rossii indicates on its masthead that it was produced "with the close participation of V. M. Zenzinov, V. I. Lebedev, and O. S. Minor." The literary critic Marc Slonim, at that time the newspaper's editorial secretary, describes these three figures as the publishers, and reports that A. F. Kerensky was also closely involved with the newspaper (Slonim, p. 291). A historical discussion of these figures provides the answers to the two questions placed above: what were their views of Socialism, and what role in the revolution did they see for non-socialist groups. Apparently the oldest and least known member of the publishing group was Osip Solomonovich Minor. A student at Moscow University, he had been drawn into a revolutionary circle led by Vl. Rosenberg at least by 1883 at the time of the killing of Colonel Sudeikin. Sudeikin was the Kiev Police Chief and a bitter enemy of the People's Will terrorists (Minor, p. 9; Nicoll, 1980b, p. 170). While Rosenberg's group styled itself as part of People's Will, Sudeikin's murder was among the last gasps of the original organization founded in 1879, and it was presumably one of the several attempts at breathing new life into this dying division of the populist movement (see Tvardovskaya, p. 255). Minor reports that after he had been repeatedly arrested and released, he was sentenced in 1885 to ten years of exile in Northeastern Siberia for "harmful influence on youth." In Yakutsk, he met a number of old Populists and People's Will activists who made a deep impression on him. There, he took part in the uprising of March 22nd, 1889. He was sentenced to hanging for his part in the uprising, but the sentence was commuted to unlimited hard labor, and later to ten years of exile from the day of sentence. By 1898 he was able to return to central Russia outside the capitals of Saint Petersburg and Moscow (see Minor). Tvardovskaya, a Soviet writer, laments in regard to People's Will that while its members "had recognized the necessity of political struggle with autocracy," they shared the "Socialist Utopian" views of the Populists in general, and "first of all a belief in the possiblity for Russia, bypassing capitalism, to come to Socialism through a peasant revolution" (Tvardovskaya, p. 254). People's Will and the Populists were also, however, favorable to the intelligentsia, of whom the populist movement was largely composed. The intelligentsia, in turn, was closely tied to the lower nobility and bourgeoisie. P. A. Alekseev, a Populist from a peasant family, was one of the activists who met and impressed Minor in Yakutsk. In a speech at his 1878 trial he declared that, "it is obvious that the Russian workman can have hope only in himself, and can expect help only from our young intelligentsia" (Venturi, p. 534). Among the policies espoused, at least publicly, by People's Will were a Constituent Assembly, broad fundamental freedoms and transfer of all land and factories to the people. The Populists and presumably Minor with them desired a social revolution which would overthrow the ruling classes. They did not consider themselves as part of the ruling classes but as a revolutionary intelligentsia working alongside of, or if necessary, leading the workers and peasants (see Nicoll, 1980b and Blakely for concise discussions of Populism and People's Will). Although Minor's autobiography ends well before the events of 1917 to 1921, it is interesting as an illustration of links between Volia Rossii and Populism, and the Populists' belief in a leading role for the intelligentsia in both a social revolution and the resulting socialist state. Every major socialist party of the Revolutionary era, including the Communists, has at least some roots in Populism. However, the belief in a revolution based in the peasantry but helped or led by the intelligentsia was preserved in and espoused particularly strongly by the right branch of the Socialist Revolutionary Party. This branch includes the leading figures of Volia Rossii. Vladimir Mikhailovich Zenzinov, Vladimir I. Lebedev and Aleksandr Fedorovich Kerensky were more recent and prominent figures in the Socialist Revolutionary Party than Minor. Zenzinov, according to Perrie, was an active member from when he joined as a student in 1904. He took part in terrorist activities and the uprisings of 1905 and 1906, was arrested and escaped repeatedly. In 1910, he was finally sentenced to five years' exile in a remote village on the Indigirka River in Siberia. Perrie reports that Zenzinov returned to Russia at the beginning of the World War, became part of the more conservative, "defensist" or war-supporting wing of the socialist movement and SR Party, and also became a close friend of Kerensky (see Perrie, 1980b; Melancon also provides an interesting article on relations between the socialist descendants of Populism, and the right-left intra-party splits brought on by the World War). Perrie states that after the February Revolution Zenzinov served on the Petrograd Soviet Executive Committee, and held an appointment for the Provisional Government. At the time of the October Revolution he joined the Committee to Save the Fatherland and the Revolution, which struggled against the Bolshevik coup. According to Perrie, after the dispersal of the Constituent Assembly in January 1918, Zenzinov eventually joined the Committee of the Constituent Assembly (Komuch) and the "Ufa Directory," which formed an opposition government with the participation of the bourgeois Constitutional Democrats, on fundamentally the same bases as those of the government which existed before October. In November 1918, the Directory was overthrown by reactionary elements and replaced by Kolchak, a White commander. Zenzinov fled abroad (Perrie, 1980b, pp. 17-21). According to Sack, Lebedev fought in the Russo-Japanese War, and then, after fleeing Russia for political reasons, served in the French Army from the beginning of the World War until the February Revolution. 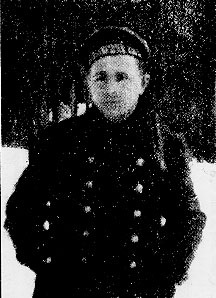 He returned to Russia and joined the Provisonal Government as Assistant Minister for the Navy in the Second Coalition Cabinet, which was formed in July 1917, although he left it again in a dispute over what he believed to be weak treatment of the Bolsheviks after the July Days. He was part of the ill-fated Constituent Assembly, and along with Zenzinov joined Komuch and the Directory, in which he worked as a military leader in coordination with the Czech Legion. Lebedev was presumably deposed at the same time as the other Socialists (see Sack, pp. 3-5). Kerensky is famous as the socialist Prime Minister of the coalition Provisional Governments. According to Rollins, he followed an early path similar to that of Zenzinov, joining the socialist movement during his time as a student in Saint Petersburg from 1899 to 1904. He took part in socialist and liberal revolutionary activity, served in the State Duma, rose to prominence as a criminal defense lawyer, and underwent the standard arrests. He was a freemason from 1912, and a member of the right wing of the socialist movement, supporting the war with Germany as a step toward political liberation. Throughout his career Kerensky leaned strongly toward liberal, rather than strictly socialist, principles. Rollins says of Russian freemasonry that, "[its] objective... was not the popular democracy sought by the left but rather a republic directed by the liberal intelligentsia. Rejecting mass action, it aimed to destroy the monarchy by infiltrating and transforming the government and higher bureaucracy into instruments of revolution" (Rollins, p. 109). Serving in various Provisional Governments as Minister of Justice, War and Prime Minister, Kerensky was one of the leading supporters of these governments' official policy of coalition with the Constitutional Democrats and other non-socialist groups, and of the resulting concessions to land and factory owners. At that time, no party except the Bolsheviks believed in the ability of the socialist Soviets to achieve the social revolution without the involvement and cooperation of the bourgeois elements, and Kerensky would not or could not take the political steps necessary to satisfy the masses. Along with the Provisional Government, he was thrown out of power in the October Revolution, and as has been noted, it was the sailors and soldiers of Kronstadt who helped perform the act (see Rollins). As prominent Socialist Revolutionaries, Zenzinov, Lebedev and Kerensky joined Minor in supporting the old populist idea of a social revolution with a basis in the workers and peasants, but also in the intelligentsia. The official SR program accepted at the First Party Conference in 1905-1906 calls for the "removal [of land] from sale and changing it from personal property... to the common property of the people" (Sbornik..., pp. 45-46) and states that "the whole weight of the struggle with tsarism falls on the proletariat, the laboring peasantry, and the revolutionary intelligentsia" (quoted in Melancon, p. 244). According to contemporary sources, this program continued to be the official party view in 1917 (Morokhovets, pp. 73-74). Thus, starting from their populist roots and continuing through at least 1918, the main figures of Volia Rossii believed in a Socialism and a socialist state which would fulfill the laborers' desires, but which would be led by the intelligentsia. They were also willing to allow non-socialist groups to play a role in the revolution (see Perrie, 1980a for a fuller discussion of the Socialist Revolutionary Party). When Pukhov accuses Petrichenko of sympathizing with Socialist Revolutionary beliefs, he is referring to ones such as those outlined in the previous paragraph. As mentioned above in the discussion of Petrichenko, such an accusation, if true, would indeed be damning to many Soviet laborers, and specifically the people of Kronstadt, because these SR beliefs were in direct conflict with the political beliefs of the Kronstadt sailors and their leaders. Apart from the differences pointed out above, there were also other issues which separated Kronstadt and its leaders from the Right SRs and their Provisional Government. Sack describes Lebedev, as Minister of the Navy, as taking "strict measures for reestablishing discipline in the Russian Fleet." This was an extremely unpopular policy with the independent Kronstadt sailors. Sack continues, "In July, 1917, he was at the head of the forces which suppressed the Bolshevist revolt" (Sack, p. 4). Here again, the Kronstadt sailors were not just the support, but the foundation and structure of the July Days demonstrations (see Getzler, pp. 111-124). Taking into account the disagreement between Kronstadt and the Right SRs on the two questions placed above, the view of Socialism and the view of the role of non-socialist groups in the Revolution, as well as the other fundamental conflicts of interest and belief, Kronstadt's July and October 1917 opposition to Kerensky, the Right Socialist Revolutionaries and the Provisional Governments which they helped form is well explained. By March of 1921, however, the situation had changed drastically. Wrangell, the last White commander, had been driven from the Crimea. Western governments had given up on their half-hearted attempts at intervention, and were beginning to negotiate agreements with the new Soviet government. Unwilling to allow even peaceful criticism, the Bolsheviks were driving their left socialist and anarchist allies of the Revolution and Civil War further and further from public life. Peasant rebellions were springing up against the razverstka, the armed appropriation of grain and other supplies under War Communism. With the collapse of the internal and external threats to the Republic, the peasants were ever less willing to accept these coercive policies. The workers and sailors were also deeply affected by these concerns, both because their food supply was affected by the economic ruin of the Civil War and War Communism, and because in many cases they still maintained close ties to the villages. Finally, the Communist Party was accused of operating out of control, becoming bureaucratized and removed from the people, being unable to handle the economic ruin which gripped Russia. The declarations by sailors, soldiers and workers printed in 'Izvestiia of the Prov. Rev. Com.' speak of these issues repeatedly. They are echoed by Lamanov in his declaration of departure from the Communist Party and in the articles he wrote defining Kronstadt's cause. Some of these issues are also raised by Petrichenko in the first article of the first edition (see also "Leaving the R.C.P.," "What We Are Fighting For," "Voice of the Deceived," "Leaving the Party"; Pravda, pp. 45, 59, 76, 82, 105, 132). These were the issues which drove Kronstadt and its leaders away from the Communists. "The chairman of the Constituent Assembly, Victor Chernov, sends his fraternal greetings to the heroic comrade sailors, Red Army men, and workers, who for the third time since 1905 are throwing off the yoke of tyranny. He offers to aid with men and to provision Kronstadt through the Russian cooperatives abroad. Inform us what and how much is needed. I am prepared to come in person and give my energies and authority to the service of the people's revolution. I have faith in the final victory of the laboring masses. Hail to the first to raise the banner of the people's liberation! Down with despotism from the left and the right!" In response, Kronstadt broadcast: "The Provisional Revolutionary Committee of Kronstadt expresses to all our brothers abroad its deep gratitude for their sympathy. The Provisional Revolutionary Committee is thankful for Chernov's offer, but it declines for the moment, until further developments become clarified. Meanwhile, everything will be taken into consideration" (Avrich, pp. 124-25). Kronstadt did not appeal for any help from abroad until the uprising was already near defeat, and never received any of the food or other aid which SRs and more conservative groups were eager to give them (see Avrich, pp. 115-127). However, they were not willing to reject the Chernov's overture out of hand. There were several reasons for this guarded but not unfriendly response. First, despite speeches and broadcasts to the contrary, Kronstadt's shortage of food supplies is plainly visible in Izvestiia (see "They Refute the Slander" and "Apportionment"; Pravda, pp. 156, 169-170). The rebel leaders were unwilling to throw away this opportunity to receive food aid, if assistance were to become necessary. Second, it is likely that Kronstadt's leaders no longer considered the Socialist Revolutionaries to be as great a threat to Kronstadt's goal of a free republic as they were in 1917 and 1918. It would have been well reported by Soviet sources that the White forces in Russia had been crushed and the western governments pacified. Furthermore, time had made Russia's participation in any renewed war with Germany a dead issue. Also, since many people in Kronstadt were in fact former members of the SR and Menshevik Parties, and since Pukhov points out that agitation was regularly carried on by the SRs and Mensheviks in Petrograd at that time, the Committee likely knew of the changes in the Right Socialist Revolutionaries' positions which are visible in Volia Rossii (Pukhov, pp. 28-29, 34). Because of its editors' betrayal by the White forces in 1918, its perceived abandonment by the Entente in favor of the Bolsheviks, and also the socialist nature of the new German government, the Entente's harsh attitude toward Germany (see for example No 127, p. 1, Pered londonskoi konferentsiei). It missed no opportunity to attack its former allies from among the Constitutional Democrats and White commanders (a particularly interesting example being No 2, p. 1, Vse Malo). Because of all this, the Provisional Revolutionary Committee likely believed that the Right Socialist Revolutionaries had neither the desire nor the ability to continue their political line of 1917, and were less of a threat to Kronstadt's goals than the Communists. In fact, Kronstadt and the SRs now found that they had a common interest -- opposition against the Communists. "...the [SR] party in its struggle against Bolshevism, with a single spirit rejects joint work with non-socialist parties. And is it necessary to say that the events of the recent period, and in particular the Kronstadt Uprising, sharply underline the correctness of the party's point of view? The Russian laboring masses have begun to carry on, with armed force, a struggle with Bolshevism, but they reject in this struggle joint work with ... parties with goals and psychologies foreign to them" (Volia Rossii, No 165, p. 1, "Bolsheviki i es-ery"). Volia Rossii also argues repeatedly that the Communists must soon lose power, and that the economic and political concessions forced on them by Kronstadt and the general laboring movement not only cannot stop their fall, but will even speed it. Yakovenko, Vice-President of the Provisional Revolutionary Committee and a close comrade of Petrichenko, best summarizes this view when he says in an interview, "The Communists have reached the end. I answer everyone, before this year is out, the Communists will be out" (No 187, p. 1, "Beseda s kronshtadtsami"). The Socialist Revolutionaries were eager to greet the Kronstadters as fellow opponents of the Communists, and as plain laboring people, many of whose actions and written and oral statements supported Volia Rossii's positions. This new accord was not perfect however. While Kronstadt and the Right Socialist Revolutionaries had found a common interest against the Communists, and certain political conflicts been removed, other questions still separated the two groups. The issue of the Constituent Assembly is one such question particularly apparent in Truth. It shows both the continuing conflict between the two groups and Volia Rossii's efforts to convince its readers that this conflict did not represent an insurmountable difference. Izvestiia takes a strong, anti-Constituent Assembly position. In "Stages of Revolution," Lamanov states that before the October Revolution, "[c]apitalists and landowners... hoped to seat themselves firmly on the toilers' neck, having duped the latter in the Constituent Assembly to which Kerensky was slowly but surely leading" (Pravda, p. 127). When the members of the Provisional Revolutionary Committee were asked by "Zritel," a reporter from Volia Rossii, why they did not support the Constituent Assembly after the Revolution, they replied that it would have simply been taken over by the Communists, using set lists of candidates presented to the voters (Pravda, p. 31). "We know who is afraid of the Constituent Assembly. It is those who will not be able to steal, but instead will be brought to answer before the people's representatives for fraud, theft and all criminality. Down with the hated Communists! Down with Soviet power! Long live the All-National Constituent Assembly." This proclamation is also printed in Volia Rossii (No 163, p. 3, "Vozzvaniia sotsialistov v dni petrogradskikh i kronshtadtskikh sobytii"). There it is ascribed to "the Petrograd Committee of Social Democrats (mensheviks) and Petrograd socialist groups." This reference to unnamed "socialist groups" suggests that the Socialist Revolutionaries may have played a direct role in the original publication of the announcement. In any case, the relationship between Volia Rossii and the Mensheviks was very close. The Mensheviks do not undergo the harsh attacks that Volia Rossii directs against the Kadets and White commanders, and Sotsialisticheskii Vestnik, the organ of the Menshevik Party abroad, even advertises in Volia Rossii (see for instance No 224, p. 6). The proclamation's call for a Constituent Assembly is equivalent to one by Volia Rossii itself. Volia Rossii states that Kronstadt, having had its beliefs twisted by the Communists, was approaching democracy in small steps through new Soviet elections, rather than by the direct path of the Constituent Assembly. It further diminishes Kronstadt's error by stating that the sailors, cut off from locations where the workers were calling for a Constituent Assembly, nevertheless "in their own way, defended the right of the people to self-government and self-regulation. They wished to advance, and were already advancing, toward that people's self-government by different paths" (Pravda, p. 35) from those of the other workers, but "their goal... was one and the same, the emancipation of the people. Because of this, independent of how they clothed the demand for, 'power of the people,' the entire Kronstadt movement possessed a great attractive force" (Pravda, p. 35). Volia Rossii justifies its difference with Kronstadt over the Constituent Assembly by claiming that because of Communist agitation and Kronstadt's isolation, the sailors and their leaders were somewhat misled about the proper methods, but that fundamentally they desired the same goal as the Socialist Revolutionaries. The original authors and editors of Pravda o Kronshtadte, or The Truth about Kronstadt, varied from common sailors of the Baltic Fleet to former government ministers. They were all political descendants of the Russian Populism of the late 19th Century, but had split into separate branches under the influence of different interests and beliefs, and of such events as World War I. The people of Kronstadt were radical democrats, and closely related to the Union of Socialist-Revolutionaries Maximalists, which provided them with one of their leading figures, Anatolii Lamanov. The editors of Volia Rossii were Right Socialist Revolutionaries, liberal-oriented and inclined to make concessions to and alliances with groups which Kronstadt rejected. Stepan Petrichenko, President of Kronstadt's Provisional Revolutionary Committee, was influenced to a degree by Socialist Revolutionary ideas, but was primarily a representative, and example, of the Kronstadt sailors who he led. Political differences related to the authors' views of Socialism and of the proper role of non-socialist forces, along with other issues such as support or opposition for the war, helped to make Kronstadt and the Right Socialist Revolutionary-led Provisional Government violent enemies in 1917. In 1921, however, in the context of a combination of changed internal and external realities, changed views and changed interests, a mutual, Communist enemy provided them with a basis for cooperation. Kronstadt decided that its former enemies were no longer as dangerous as they had once been, and that the potential need for food supplies required that Socialist Revolutionary overtures not be completely rejected. For its part, Volia Rossii found that, despite the necessity of explaining continuing disagreements over issues such as the Constituent Assembly, the rebels were important as sources of actions, and oral and written statements which supported Volia Rossii's Right SR beliefs.